After two weeks full time work, learning a new job, AND being away for the weekend in between I got very excited at the prospect of turning the sewing machine on again. 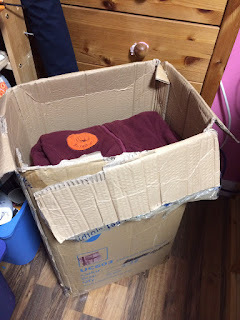 However - by the time I'd cleared the mess dumped on every horizontal surface, I saw two big bags of uniforms that a customer dropped off three weeks ago! So I switched on the embroidering machine rather than the sewing machine! 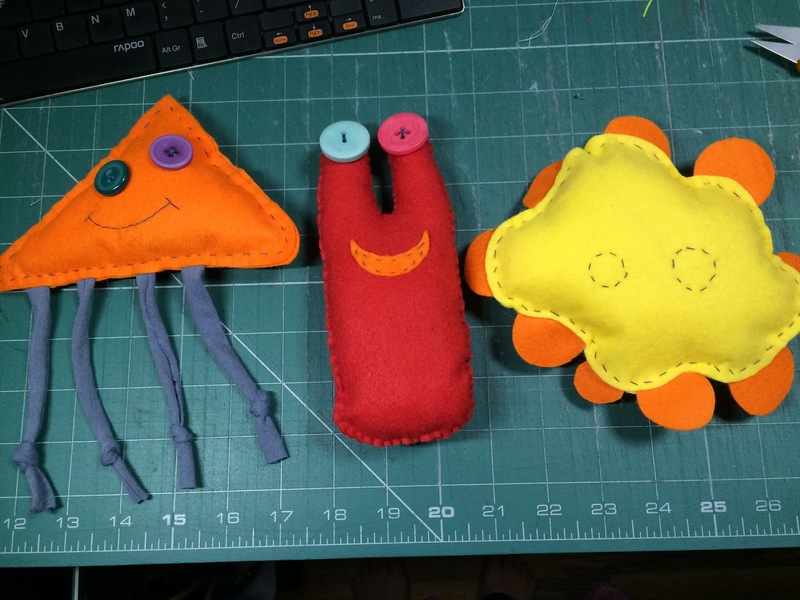 I also had an email in the week asking if I could teach a family class one Saturday at the end of October, so I did cut some felt while babysitting the embroidery machine and I have done some hand sewing over a cuppa or two: We are going to be Making Monsters! I've got at least one more on the go too: its fun making samples! 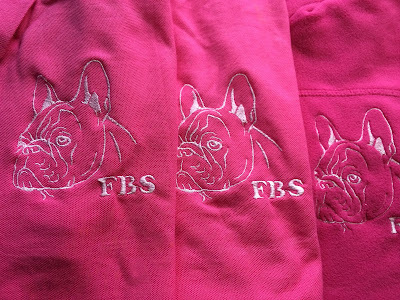 The first lot of embroidery has now finished - six French Bulldogs! How's your new job? Have you identified the troublemakers yet?